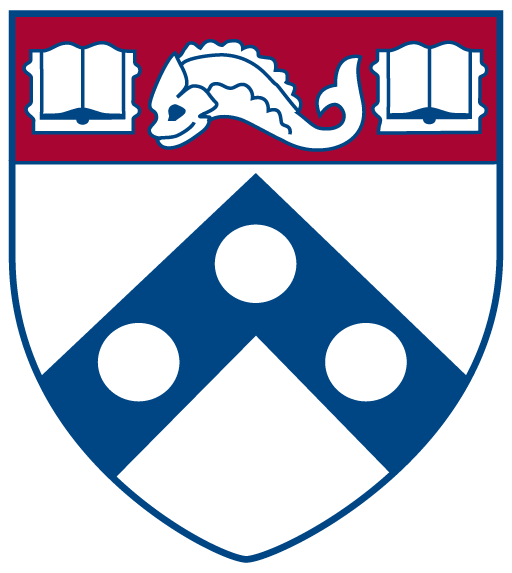 Philadelphia: University Museum of Archaeology and Anthropology. “Part research project, part personal journey, this work by Sanday (anthropology, Univ. of Pennsylvania) enlivens indigenous creation narratives of Wolfe Creek meteor crater in Australia’s Western Desert. Sanday’s father, American geologist Frank Reeves, documented the crater in 1947. The author’s quest reminds readers that understanding Aboriginal culture, its creation stories, and image making are difficult tasks. 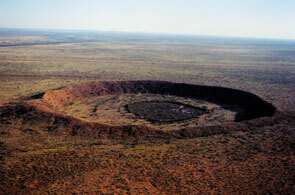 Sanday located the crater’s traditional owners and documented associated stories. Her journey expands on the work of famed anthropologists Tindale and the Berndts, who first studied indigenous cultures of the desert. 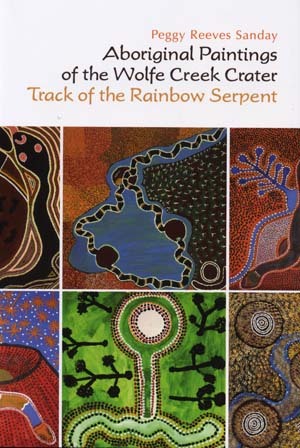 The paintings Sanday commissioned from the crater stories’ owners are vibrant records of Rainbow Serpent as it traveled the desert creating the crater and surrounding country. Her work shows that the landscape is a giant palimpsest forever etched with traces of ancestral activity.” –CHOICE 2008. Recommended. General readers; lower-division undergraduates. All paintings and photographs included on this page and any related pages are licensed under a Creative Commons Attribution-NonCommercial 4.0 International License.